Santa Barbara Bike Rentals - Road, Hybrid, Beach Cruisers and more! Santa Barbara Bikes-To-Go is Santa Barbara's premiere bike rental company! We specialize and started with high end road bike rentals for your recreational to avid cyclists. 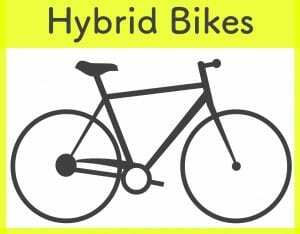 Since the inception of our company we've added a great line up of hybrid bike rentals, mountain bike rentals, beach cruiser rentals including a couple custom cruisers, and even electric bikes. 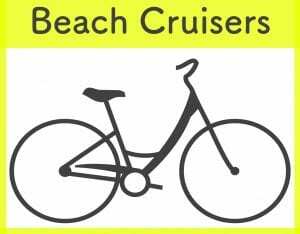 Our bike rentals come with just about anything you could need from a lock with the cruisers to different type of pedal options and route suggestions for road bike rentals. For long term renters we even offer a floor pump to keep your optimal tire pressure. 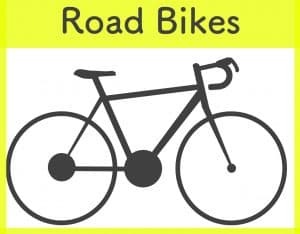 For road bike rentals in Santa Barbara you can set up an appointment with us and we'll do any quick adjustments that may be needed in our downtown location or if you know exactly what you want we can deliver your bike directly to your hotel or house. 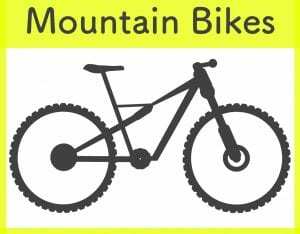 Our primary road bike rentals are Specialized, Trek, Orbea, and Cannondale and our mountain bike rentals consist of Specialized Stumpjumper, Enduro, Camber, Rhyme, Rockhopper, Pitch, and more. Whether you want to scale Santa Barbara on the road or in the dirt we’ve got you covered! Santa Barbara Bikes To-Go is a no hassle bike rental delivery service for the casual to the elite cyclist. We believe there is no better way to enjoy Santa Barbara than by bicycle! Why pay shipping & hassle with packing your own bike? 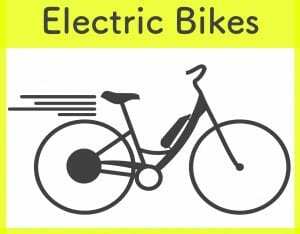 Bike Types: Road Bikes, Hybrid Bikes, Mountain Bikes, Electric Bikes, Beach Cruisers, and Kids Bikes! "I cannot thank you enough for your attention to detail, courtesy and service! And, I must say your efforts were not lost on the Simpson Inn folks! We rode Mountain Drive Saturday morning and had a great time. My only negative is now I want a full carbon frame! Hope to see you in the future." "Mike and I wanted to thank you for your great service in delivering and picking up the bikes. We had a really nice time. If he ever has another opportunity to have the time to ride while he is in SB for work I know he will give you a call. I should be so lucky if I ever make it out there again. Great bike lanes and routes." "Carol and I had meant to say Thank You for your outstanding service, equipment, support and joy that you and your bikes provided during our visit in Santa Barbara ! You are truly a professional and we could not have asked for better service! Whenever we return to Santa Barbara, we will certainly coordinate road bikes with you and we recommend your business to anyone wishing to rent the highest quality bikes that are superbly appointed and well maintained. Take care - enjoy summer - we'll see you next time." "I would like to thank you again for the very good service you provided us for our vacation in Santa Barbara. We were especially impressed by the personalized details and trouble you underwent to make sure we had the best experience possible. Take note that throughout our stay in CA we made other bike rentals that did not come anywhere close to what we got from Bikes-to-go. Thanks a million to you and your team! " "Thanks for the bike. The Tarmac is a quality machine for sure. I had two really nice rides: the first was along the coastal route through UCSB, then up along Cathedral Oaks to San Marcos. I rode that up to the 154 and turned around to head home. About 1.75 hours. Today I just rode straight up San Marcos, this time crossing 154 and taking that as high up as it would go -- eventually getting to the road to Gibraltar, I think. Great climb. It took me over an hour just to get to the top, but the views and the feeling of accomplishment made it worth the price of admission. Anyway, thanks for the advice and great service. " "Quick note to say thanks, what a fantastic bike! Just back from a spectacular ride up San Marcos and into the hills. The bike was a peach -- stiff frame (feels great out of the seat), but still forgiving forks, very light, loads of fun. Plus, the hills we're awesome -- what a gorgeous place to ride. I cannot believe it is possible to rent such a great bike! Thanks for a fantastic service."